Helen Mirren has one criticism of “Star Wars: The Force Awakens,” and is deeply concerned about the fate of some of the Stormtroopers in the “Star Wars” franchise. “I saw [‘The Force Awakens’] and I thought they made a terrible mistake because they took the Stormtrooper’s hat off,” Mirren told The Los Angeles Times. Mirren will next star in the biographical thriller “Winchester” as Sarah Winchester, the heiress of the Winchester Repeating Arms Company. She felt her family was cursed by the spirits of people who had been killed by Winchester rifles, and therefore famously built the Winchester House. A medium had told her that construction should never stop, otherwise she would join her dead husband. She continuously added more rooms to a house she bought in San Jose, California, working 24 hours a day, seven hours a week. Doors open into walls, and staircases lead into nowhere to confuse the ghosts, according to popular legend. The Mansion has 160 rooms with 47 fireplaces, 40 stairways, 13 bathrooms and six kitchens. Jason Clarke and Sarah Snook also star in “Winchester,” which is directed by Michael and Peter Spierig and will hit theaters on Feb. 2. 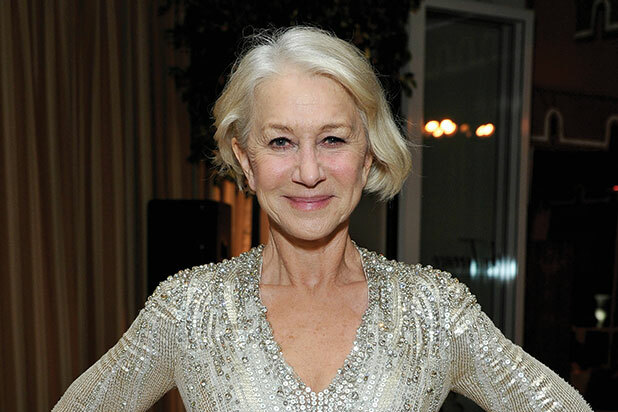 Read Mirren’s full interview here.